It’s a fierce database debate that refuses to settle. 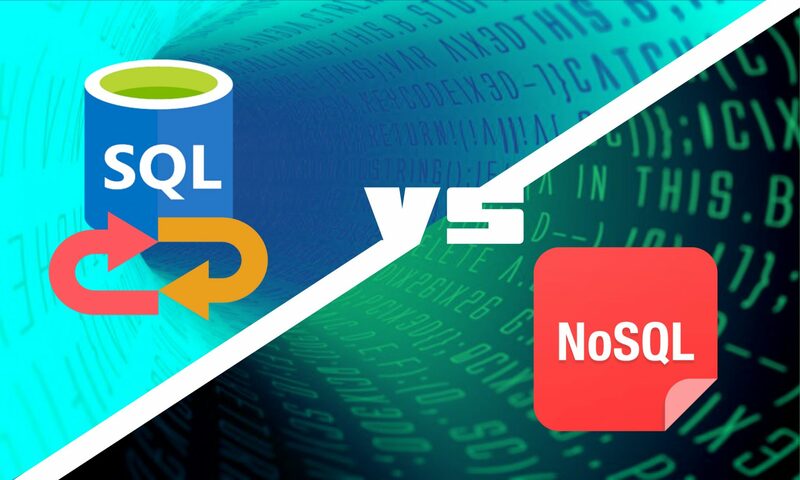 NoSQL vs SQL database comes to the fore when picking a storage solution. The growing complexity of big data required companies to use data management tools based on the relational model, such as the classic RDMBS. That explains the soaring popularity of NoSQL database systems that sprang up alongside major Internet companies such as Google, Yahoo and Amazon; each had challenges in dealing with huge quantities of data in real-time, something that conventional RDBMS solutions could not cope with. NoSQL systems are distributed, non-relational databases designed for large-scale data storage and for massively-parallel, high-performance data processing across a large number of commodity servers. They arose out of a need for agility, performance, and scale, and can support a wide set of use cases, including exploratory and predictive analytics in real-time. They arose out of a need for agility, performance, and scale, and can support a wide set of use cases, including exploratory and predictive analytics in real-time. Built by top internet companies to keep pace with the data deluge, NoSQL data base scales horizontally, and is designed to scale to hundreds of millions and even billions of users doing updates as well as reads. Social applications: usually a social application, can scale from a zero to millions of users in few weeks and to better manage this growth, one needs a DB that can manage massive number of users and data, but also that can scale horizontally easily. Archiving Data: if one wants to archive data and keep them available to the user, NoSQL databases can help you. First of all, one can store and access a huge volume of data when stored in NoSQL. When using document oriented NoSQL Engine such as Couchbase, MongoDB, one can store any type of data (flexible schema/schema-less) allowing you to archive anything. Cameron Purdy, a former Oracle executive and a Java evangelist explains what made NoSQL type database fast compared to relational SQL based databases. According to Purdy, for ad hoc queries, joins, updates, relational databases tend to be faster than “NoSQL type databases” for most use cases. “The reason that NoSQL is useful is that many applications can be built avoiding those particular use cases, and can instead focus on using a very small set of database functionality; for example, applications can perform all data access and modification using primary key-based operations in order to optimize for a NoSQL K/V store,” he noted in a post. Are NoSQL databases scalable vis -a-vis relational SQL based databases? According to Purdy, most of the operations that one can perform on a relational (SQL) database are either impossible or impossibly-slow using a NoSQL database, and tend to get worse as the NoSQL database is scaled out. As in the above example, applications can be optimized to avoid these particular use cases and instead focus on a very small set of functionality that does scale extremely well, by relying on features that enable partitioning, replication, and routing, he stated. According to Dillon, NoSQL is designed for operational needs — real-time applications that often interface with customers or parties external to the organization. It provides the ability to query the data, so users can drill down into the data as it changes. NoSQL allows for high-performance, agile processing of information at massive scale. It stores unstructured data across multiple processing nodes, as well as across multiple servers. As such, the NoSQL distributed database infrastructure has been the solution of choice for some of the largest data warehouses. To meet the demand for data management and handle the increasing interdependency and complexity of big data, NoSQL databases were built by internet companies to better manage and analyze datasets. One of the key differentiator is that NoSQL supported by column oriented databases where RDBMS is row oriented database. NoSQL seems to work better on both unstructured and unrelated data. The better solutions are the crossover databases that have elements of both NoSQL and SQL. RDBMSs that use SQL are schema–oriented which means the structure of the data should be known in advance to ensure that the data adheres to the schema. For example, predefined schema based applications that use SQL include Payroll Management System, Order Processing and Flight Reservations. SQL Databases are vertically scalable – this means that they can only be scaled by enhancing the horse power of the implementation hardware, thereby making it a costly deal for processing large batches of data. NoSQL databases give up some features of the traditional databases for speed and horizontal scalability. NoSQL databases on the other hand are perceived to be cheaper, faster and safer to extend a preexisting program to do a new job than to implement something from scratch. Even though SQL has its own set of limits, it is also a very mature technology, which is well understood, and has a large pool of developers who understand how to use it well. More importantly, data Integrity is a key feature of SQL based databases. This means, ensuring the data is validated across all the tables and there’s no duplicate, unrelated or unauthorized data inserted in the system. This depends on a lot of factors, for example the type of data one is analyzing, how much data one has and how quickly you need it. 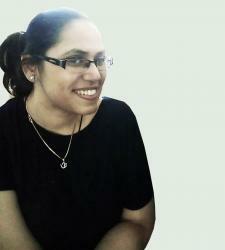 For example, for applications such as user behavior analysis, relational DB is best. Well, if the data fits into a spreadsheet, then it is better suited for a SQL-type database such as PostGres, BigQuery as relational databases are good at analyzing data in rows and columns. For semi-structured data, think social media, texts or geographical data which requires large amount of text mining or image processing, NoSQL type database such as mongoDB, CouchDB works best. Since running analytics on semi-structured data requires a heavy coding background, analyzing these type of DBs require a data scientist. When it comes to size of data, PostGres MySQL usually gives a good performance for under 1terabyte of data Amazon Redshift is preferred for petabyte scale. And with smaller teams of engineers focused on building pipelines, relational DBs take less to manage than NoSQL. On the other hand, relational databases, one can use SQL to query them. SQL as a language is well-known among data analysts and engineers and is also easy to learn than most programming languages.